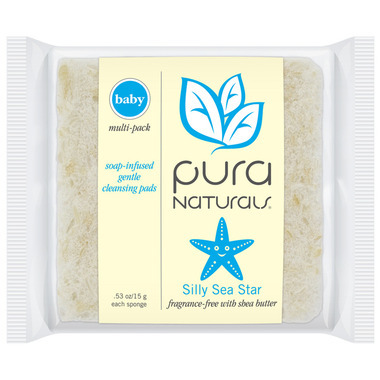 Pura Naturals Baby Soap-Infused Sponge is the pack-it, stuff-it, take-anywhere sponge. This gentle sponge is easy and convenient for cleansing your baby's skin on-the-go or at home. Simply add water and squeeze the sponge multiple times to activate the rich lather, then wash, rinse and reuse.